Congratulations! You’ve decided to work in China. It’s a big decision, but before you arrive in China to work, you must have a work visa, also known as a Z visa. That being said, you can’t simply enter with a tourist visa and convert it to a work visa. You must get your work visa in your home country. What is the Work Visa for China? One important thing to note is that the Chinese Z visa, or work visa, is not a work permit, but rather is simply a visa that allows you to enter the country. This is a single entry, so you must stay in mainland China while your paperwork is being filed and completed. Once you arrive, your school or employer will help you with the process of getting your residency permit and work permit. After this, you are free to leave and enter China as you please. However, the main focus of this article is how do I get the Chinese Z Visa? For a long time, teaching in China, and much of East Asia in general, was known for its relatively lax standards in terms of gaining employment and acquiring a work visa. Those days are over. Countries like South Korea, Japan, and even Vietnam want a criminal background check, along with authentications of college degrees that the prospective foreign teacher has. China was known for being relatively easy in terms of getting a work visa, but this changed in April 2017, which mandated that more documents and proof had to be provided in order to receive the Chinese work visa. So what does this mean? Is getting a Chinese visa impossible? No! Compared to before, its more complicated, but its certainly doable. You just need to know the right process. What do U.S Citizens need to apply for a work visa for China? The steps are applicable to anyone in America, Canada, the UK, or any other English speaking country. However, some of the document authentication and criminal background check processes I describe are applicable to America. For other countries, the process will probably be different, so you may want to contact the necessary government agencies in your home country. The school in China knows what you need, work with them. Likewise, its always good to check up on the school or employer; they know which documents they want, or which documents are satisfactory. Lastly, always check with your local Chinese embassy or consulate as to what they want, because it varies from one consulate to another. The whole process should take about two months, although I could vary, depending on how efficient the authorities are in your country. Before you start this process, you must first be in contact with a school that has agreed to hire you. They will tell you what documents you need. First, you must contact and receive the job offer from an employer in China, usually an English language school. You must give a scan of all your authenticated documents to them, usually through email, and they will give you a notification of work permit. Along with this, you need a valid passport, passport photos, and the visa application form, usually provided by the consulate or embassy website. The notification of work permit is not your work permit per se, but its more of a way for your employer to prove to the Chinese embassy or consulate that they hired you. In other words, its kind of like a provisional work permit. In the past, all they needed was a simple letter, but since April 2017, its become more complicated. What makes it even more complicated is that what you need often depends on where you will work. Some places, like Shanghai, are very strict, wanting not just the degree and criminal background check to be authenticated, but also your TEFL certificate to be authenticated by the Chinese embassy or consulate as well. In one instance, a Shanghai High School told me that my TEFL certificate must be from the same country as my passport, which didn’t make sense to me, but those were the requirements nevertheless. Other cities are more relaxed, not even needing the TEFL certificate to be authenticated. Although the requirements for the provisional work permit vary from place to place, there are many documents that are needed, regardless of where you will work. What do you mean “authenticated”? Authenticated means that a document, or its copy, is stamped and verified by a government agency declaring its authenticity. 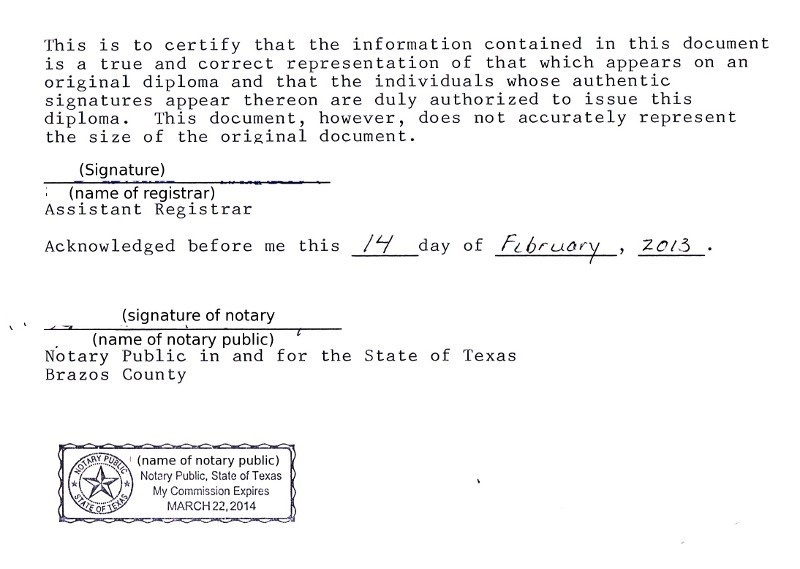 In other words, it’s proof the document is not a fake. One common way to do this is getting an apostle, the standards of which were set up in the 1961 Hague Convention. China is not a signatory to this convention, so your documents must be notarized or authenticated or certified. Typically, when government agencies do this process, they ask in the application form if the document will be shown to a foreign government, and this is where you indicate it is for use in the People’s Republic of China. Nevertheless, verify that the document will be notarized or authenticated, or certified, and not apostilled. This is arguably the hardest part. Since you have graduated college, you should have been given a college diploma, whether it is a Bachelors Degree, Masters, or PhD. Be sure to ask your employer if they want all these diplomas to be authenticated, or just one of them. 1)	Get your original diploma and make a color photocopy. 3)	Go to the Secretary of State office for whichever state the diploma was issued in. The Secretary of State office is usually located in the state capital. Have the diploma copy authenticated there as well. Here is a full list of all the Secretary of State offices and the contact phone numbers. The diploma must be authenticated in the state it was issued in. For example, if your diploma was from Stanford, you must have it authenticated in the Secretary of State office in Sacramento. If the diploma is from the University of South Florida, it must be authenticated in the Secretary of State office in Tallahassee. But what if I went to a college in a different state from my current residence? And what if its too far from where I live? In this case, you could have the authentications done by mail. It will take a little more time, possible two weeks, but it can be done. For example, let’s say you live in California, but you went to college in West Virginia University; literally the other side of the country. First, call the university registrar by phone to know what they need, how much money the authentication costs, and where you can get their application. Typically, you can mail the application, diploma photocopy, and a money order, usually 10 to 15 dollars, to the university registrar. The above is an example of what notarization by your state’s Secretary of State office might look like. In this case, it is from California, though for other states it will likely appear different. Although the document says “Apostille” near the top, below you can see it is also certified, thus completing two different roles. 4)	This next step depends on what state the diploma was issued in. As you probably know, the United States is divided into consular districts. Each district corresponds to a Chinese consulate or embassy in a certain location. For example, the Chinese consulate in San Francisco covers states in the Pacific northwest, along with northern California. Be sure to research which consulate your residence corresponds with. That being said, if the diploma was issued in a state that is in the Washington DC consular district, you must send it to the Federal Secretary of State office in Washington DC. Get the application from the Washington DC secretary of state office website. You should mail the application, notarized photocopy of the diploma, and the money order to pay for the process. In the previously mentioned example, since the college diploma was issued in West Virginia, which is located in the Washington DC consular district, it must be notarized by the Federal Secretary of State Office before being sent to the Chinese Embassy. Had the diploma come from a California college, like San Jose State, then you would go right to step 5 and send it to the consulate in San Francisco. Authentication by the Secretary of State office in Washington DC. 5). Finally, you will send the notarized diploma copy to the consulate which corresponds to the state the diploma was issued in. Go to your city’s Chinese consulate website to find the application. Fill out the application PDF by computer as much as possible. It might be possible to send it by mail, but at least my case, the Chinese Consulate in San Francisco wanted to receive the needed documents in person. Be sure to check with your consulate if you can mail it or if you must hand it in person. If you use a visa agency, you won’t have to appear in person; someone from the agency will show up at the consulate for you and deliver the documents. •	Form of payment, whether by check, money order, or credit card. Be sure to check with the consulate, because it can be different for each one. Note: I would recommend using a visa agency to complete steps 4 and 5. In fact, you can send the necessary documents to the visa agency, and they will do steps 4 and 5 for you, sending it back afterwards. It is more expensive, but much less of a hassle. There are many Visa agencies, but one I recommend is My China Visa. The hardest part is over, and while you are waiting for your notarized diploma, you can get your criminal background check. In the United States, there are two ways you can get a criminal background check. One way is through the FBI, the other is through your state government’s Department of Justice. The latter is usually acceptable to most schools throughout China, although the Shanghai High School I mentioned earlier in the article wanted the criminal background check to be done by the FBI. If you are from another country, such as Australia or the UK, then you may want to contact the police services in your country to find out how they do criminal background checks. The FBI background check takes the longest, so only go this route if your employer wants this. This can take up to three months, and along with an application, you must mail a fingerprint card with your fingerprints to the FBI. You can also get a criminal background check from your state’s Department of Justice. Since each state in America has their own criminal background process, it is best to research what you must do to get the criminal background check. In the case of the California Department of Justice, for example, there are many types of criminal background checks, one for employers, for personal use, and for visa/immigration purposes. The one you would use is for visa/immigration purposes. You would fill out the form provided in the California Department of Justice Website, which is Request for LiveScan service. The website should provide a list of places that has LiveScan, usually UPS stores. There, they would scan your fingerprints and send it directly to the California Department of Justice. In some cases, you may also have to mail the request for LiveScan service form to the California Department of Justice. In the mail, you should receive the criminal background check. 1)	Have it notarized by the Secretary of State office of your state. 2)	Send it to the Chinese consulate of your residence for notarization, the same process as notarizing the degree. Note: If you did the FBI criminal background check, you can only have it notarized in the Federal Secretary of State office in Washington DC, and it must be sent to the Chinese embassy. If you did a criminal background check with your state government’s Department of Justice, and it is in the consular district of the Washington DC Chinese embassy, then it also must be notarized by the Federal Secretary of State before being sent to the Chinese embassy. You can also have a visa agency help you with this process, to make it easier. If you want to teach English in China, you probably know what the TEFL certificate is. The certificate is also known by other names such as CELTA or TESOL. Whatever it may be called, it’s a certificate stating you can teach English. Sometimes they are given after taking a series of classes in a university, other times it is after taking an online course, the 120-hour course being recommended. Most schools won’t require that the TEFL needs to be notarized. There are some exceptions. Shanghai wants the TEFL notarized not just by the local public notary, but by the Secretary of State, and in addition, authentication by the Chinese consulate. In the case of Shenzhen, getting the TEFL stamped by the local public notary is sufficient. Be sure to talk to your school about what they want. When getting the TEFL, be sure to get it from an agency or company in your home country. If its from another country, a vast majority of time, its not a problem, especially if the said country is English speaking. However, in some cities like Shanghai, the TEFL must be issued from the same country as your passport, based on what was told to this author. There are also been cases of some prospective teachers from America having to send their CELTA certificates to be notarized in the UK, because they were issued there. While this is certainly not a normal situation, its best to be prepared for it. Lastly, some schools also accept two years teaching experience in place of the certificate. If you have this, you must obtain letters from your former employers. Be sure to contact your school to get a better idea of what they want. Get passport style photos taken. In America, these are usually in FedEx stores, but many locations can do this service. It has essentially the same format as what you would need for a passport. Save about four hard copies; you’ll need them when you are getting your work and residence permit in China. The information page of your passport must be electronically scanned. When all of this is done, you must electronically scan all the documents and sent it to the email of your employer. Your notarized diploma and criminal background check will have multiple pages attached to them showing that the notarization process was done. Do not under any circumstances detach any of the notarization papers. That would invalidate them, and you would have to do the process again. When you arrive in China, they will need hard copies of the notarized documents. One easy way to scan the documents is to download that app CamScanner. Otherwise, you can go to a location that does scanning services; in America FedEx stores can do this. If the store employee is scanning the documents for you, be sure to let the employee know that the document pages should not be detached from each other; they should be folded back. After the electronically scanned documents are sent to your school via email, the school will send them to the Chinese government agency that deals with work permits, The Public Security Bureau (PSB). Within 10 to 15 days, you should get the provisional work permit by email. Print it out. Your passport should be valid for at least twelve months from the data of entry in China. There must also be at least two blank visa pages. The last three pages in the US passport are not visa pages; they are amendment pages and have a different function. The website for your nearest Chinese consulate should have the application form for a work visa. Download the PDF file and fill it out by typing it on your computer. Then print it. Some Chinese consulates want additional documents specific to only that consulate. For example, the Chinese consulate in San Francisco wants a photocopy of your driver’s license, in additional to the necessary documents for a work visa. The consulate in Houston wants an additional job description form, found in the consulate’s website. Find out what your local consulate needs. One recent change is that some consulates is that now you must be physically present when submitting the Work Visa documents, so that they can take your fingerprints. While you can have a visa agency send documents for notarization for you, in the case of applying for the actual work visa, you must be there to provide fingerprints. This policy started with the Chinese Consulate in Chicago, and now the San Francisco consulate has recently adopted the policy as well. Other Chinese consulates and embassies in America and other English speaking countries may adopt this policy as well. Be sure to check up with the consulate you will go to. To make it easier, you can have a visa agency help you. You send your documents to the visa agency, and they arrange a time with the Chinese consulate to take your fingerprints. Once the fingerprints are taken, you can go home, and the visa agency will send back your passport with the visa by mail. I’m Steven, originally from Sacramento, California. I currently live and work in Guangzhou, and I’m enjoying my life in China!